Perhaps in a few years we will look back on this spring of 2008 and declare that it was one of the best we've ever seen. Though it is early, all indications are that every blooming tree, shrub and flower has been outstanding, blooming as profusely as ever imagined. Sitting here on my patio, I can breathe deeply and smell the Lily of the Valley blooming just a few feet away. 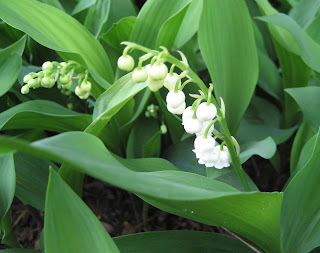 The scent always reminds me of my grandmother's garden, where Lily of the Valley bloomed each spring around Mother's Day, the perfect time for kids to pick them and present them to their grandmothers and mothers. Around the side of my house, the peonies are starting to show their bloom colors and the next lilac variety is poised to bloom. It's the very fragrant Meyer Lilac, Syringa meyeri. Lilacs and peonies are two reasons why I love gardening in Indiana. And for the next week and a half, I'll be on vacation, heading out to a place called May Dreams Gardens. Have you heard of it? I'll get to enjoy all of these blooms and more as I work in the garden, planting, weeding, pruning and being. I'll smell the lilacs, anticipate the full bloom of the peonies, and admire subtle changes as the garden morphs from spring to early summer. And I'll be gardening. Full-time. Bon voyage! Will we be hearing from you while you're on vacation? Gorgeous photos...and it's just the beginning of your vacation week! Can't wait to hear all about it as you spend time with your plants. With the price of gas, this sounds like the perfect vacation destination. Enjoy! Have a lovely vacation. I used to take gardening vacations, too...usually in the middle of October after the heat of summer and when all the overwintering annuals need planting. Enjoy your lilacs, peonies, and lily-of-the-valley--all flowers I've never seen in life (or maybe I've seen in England on a vacation but have forgotten). Have a wonderful time, be sure to put the do not disturb sign on the gate. My son would love all your lilacs, that's his favorite flower. BTW, Venus is not on the ground! I hope the weather holds out for you while you're on vacation. It has been a glorious spring, definitely one to remember. Your peonies are farther along than mine. I can't wait to see those blooms! Carol, having the spring of 2008 be one of the best we have ever seen is the most wonderful welcome I could have to a new climate and new garden. I'll go stick my nose right in the Lily of the Valley and the Lilac. Oh Carol, you made me tear up. I remember smelling the lily of the valley in my grandmother's garden. My mom told me just last week that my grandmother (a gifted gardener) would be so proud me and my gardening efforts. I'm going to have to find some lily of the valley to tuck away in a corner somewhere in her memory. I've been searching for the perfect lilac - will have to check that one out. I had no idea there were gardening vacations - sounds awesome. Carol, enjoy! I just had a gardening vacation, and I honestly think it was one of my best vacations ever. Of course, we had freakishly perfect weather, which helped. Here's hoping for perfect weather for you, too. Have a wonderful vacation Carol. I know you won't be lonesome since you have all your hoes to keep you company. THere will be surprises to see every day you step into your garden. Fresh salad for your lunches. Aaaahhhhhhhhhhh sounds wonderful to me. It really has been a wonderful spring. We have been really fortunate here in Indiana. Have a wonderful garden vacation! I hope you enjoy your vacation. :) I have a very vivid memory of lily-of-the-valley, too. There was a huge clump of it in front of a house I had to pass while walking to school when I was very young. I believe I stopped every day to "steal" a sniff of that heady fragrance. I was amazed by them then, and now. Hope you're having a fine old time, Carol ... how could you not with such beautiful blooms surrounding you? Love those LOVs, wish we could grow them. And peonies. And lilacs. Ah, well, we have other things even if I can't remember what they are right now! Your May dreams become reality this month. Enjoy that beautiful spring! We'll see you when you get back. Gardening full-time, in May, Carol? That is so delightful ! 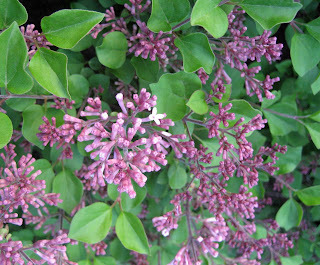 The Korean lilac ( Syringa Meyeri) has a prominent place in my garden as well. I so envy your time in the garden. 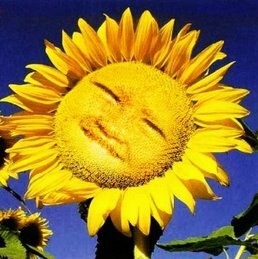 I hope before I die I get the chance to spend the month of May, just enjoying the sights and smells, and puttering around the garden with no worries. Thanks all for the nice comments and the wonderful send off for my gardening vacation. 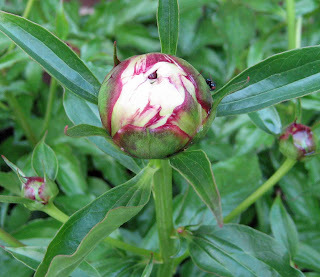 Er... by peony "bids" I of course meant "buds"!